Diego Forlan fired Atletico Madrid into the UEFA Europa League final after his extra-time strike earned the Spanish side an away-goals triumph over Liverpool. It was Forlan’s solitary goal that earned Atletico their first-leg win and the Uruguay striker was the hero again at Anfield, sweeping in a Jose Antonio Reyes cross in the 102nd minute to deny a Liverpool side who had fought their way into a winning position through goals from Alberto Aquilani and Yossi Benayoun. 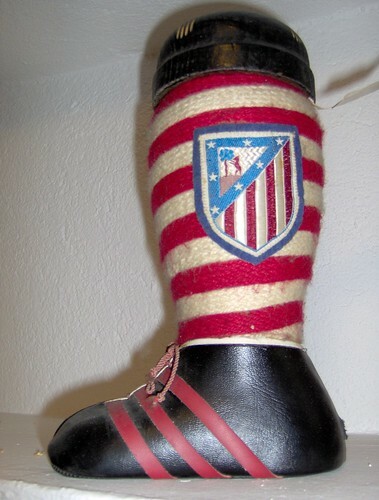 Atletico can now look forward to their first European final for 24 years against another Premier League side, Fulham, in Hamburg on 12 May. Quique Sánchez Flores’s team had scored twice in every previous away tie in the competition but were slow to show as an attacking force here. Indeed, they almost made the worst possible start inside 60 seconds. Dirk Kuyt’s flick-on sent Benayoun through down the right but David de Gea saved. There were further scares midway through the first half – Kuyt fired over a cross from makeshift right-back Javier Mascherano, then Daniel Agger headed in a Steven Gerrard free-kick only to be ruled offside. Atletico looked to have held out until half-time only for Aquilani to strike. Reyes failed to track Benayoun as he latched on to Mascherano’s throw and though Kuyt missed the ensuing cross, Aquilani found the bottom corner with a first-time strike. Rafael Benítez is renowned for his mastery of the one-off occasion and his choice of the Italian playmaker as the front prong in Liverpool’s midfield five had paid off. At the other end Atletico’s first-half effort had yielded little. Raúl García’s bouncing shot tested Pepe Reina, then Sergio Agüero, back from suspension, broke through but, forced wide by Reina, sent over an aimless cross. The visitors looked to play higher up the pitch as the second half unravelled yet still Liverpool looked arguably more dangerous, Glen Johnson drawing a fingertip save from De Gea. After Forláa miscontrolled when clean through, it looked like Atletico’s chance had gone begging when, four minutes into extra time, Liverpool scored their second, Lucas dinking a ball over the top and Benayoun sending a shot under De Gea. However, Atletico responded. Jose Manuel Jurado fired inches wide before Forlan, once a match-winner here for Manchester United, struck. Reyes crossed from the right and the unmarked Uruguayan found the roof of the net.